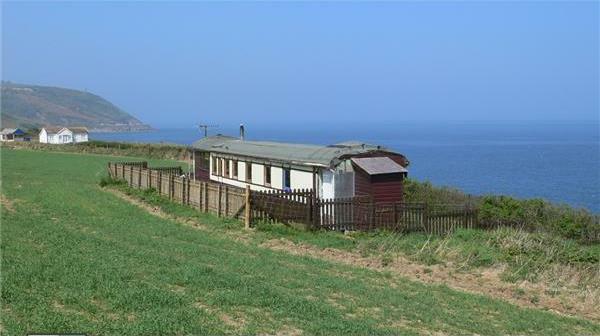 This former Great Western Railway sleeping carriage has been relocated alongside a foot path in Wales with Panoramic views of the Ceredigion Heritage Coast. 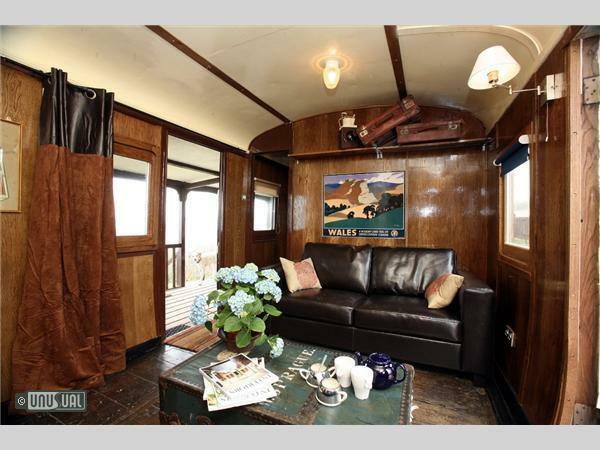 Called Wendy after the character in Peter Pan, which was published the year before the carriage was built in 1905, it travelled the length and breadth of the Great Western line between England and Wales until it was retired in 1937. Permission to build a permanent structure in this location would never be granted, so the opportunity to stay in something with its own history while you enjoy the view is particularly pleasing. Pub, Cafe and Chinese takeaway all nearby! There are two insulated and oak-lined double bedrooms with proper sprung mattresses and a single children's bed, allowing you to sleep in comfort all year round. A modern kitchen and bathroom complete the rental package. 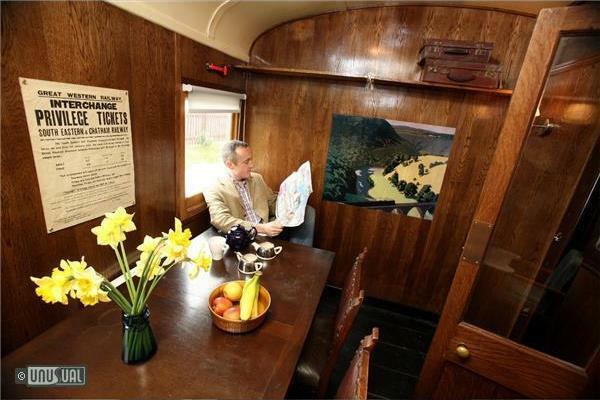 There is a lounge and dining compartment with a period 1930s dining table. Every room has uninterrupted country and/or sea views with open fields to the rear, sea to the front. This is a peaceful location with no roads within 300 yards, and no neighbours or noise pollution. The location is idyllic and your needs are catered for by a village pub, shop and food within a 5 minute walk -which includes a Chinese take-away and beachside cafe if you can't bear to cook.